Norway will be asking the U.S. to station more Marines in the country, likely over concerns about Russia’s aggressive behavior following its annexation of Crimea in 2014, Reuters reports. There are 330 Marines currently there, and Oslo wants to more than double that number to 700 by 2019. 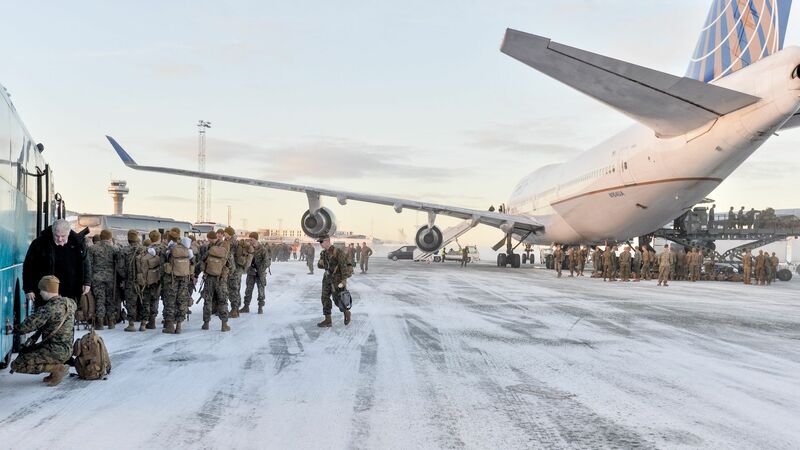 Why it matters: The Marines' arrival last year was the first time that foreign troops had been stationed in Norway since WWII. Norway's request would seek to place more Marines closer to the Russian border than those currently in the country — potentially raising tensions with Moscow and Russian President Vladimir Putin.